Sol Fantin, Argentinian poet, writes that the problem of time is not that it’s short, but swift. My friends know that I mention that verse all the time. Last August 28, 2018, was my anniversary as a PhD student at the University of Vermont. My intention for doing a PhD stills the same: to become an independent researcher. We must remember that to have a PhD is just that: to have a PhD. So, what do we want to do with that degree? Why we need it? It’s very important to answer those questions before embarking on such a mission. I started my PhD in food systems at UVM very excited, but it hasn’t all been very beautiful. Your most important relationship will be the one you’ll have with your advisor. Some programs require that you submit a support letter from a faculty member with your application. Others, mostly those that are focused on lab work, allow you to carry out lab rotations, and interviews, in order to decide who your advisor will be. That person will serve as your guide through the PhD. So, it’s very important that you two have similar research interests and values. My program required a support letter. Before emailing faculty members from UVM’s Food Systems, I reflected about why I wanted to do a PhD, and about my research interests. I did a list, and the #1 person there was Dr. Meredith Niles. I remembered that I wrote her, and got a subtle “no”, but I kept trying until she said “yes”. We have an extraordinary relationship, and her unconditional support keeps me going. Lots of people that I know are not doing well with their advisors. This person can help you pave the road to success, or fill it up with obstacles. Be aware that almost all Universities have mechanisms for you to change your advisor, if it came to it. The curriculum matters. That was the first thing I looked for when I decided to do a PhD. I was interested in pursuing graduate studies in a field that focused in agrifood systems. Everything is connected, and we cannot be reductive. And that applies even more when we are trying to understand issues that affect our food systems. Many of the programs that I found had curriculums that leaned towards the humanities. My background is in natural sciences. Thus, incurring in a new field of thought would have been extremely difficult. I found UVM’s Food Systems program through a research journal. In comparison to others, the program has a great balance regarding disciplinary frameworks. I read the entire curriculum, searched syllabi, talked with the program coordinator, researched who were the faculty members, etc. Though the main thing that made me want to enter that program was the excitement I felt. If the curriculum doesn’t fill you up with great emotions, if what they do there doesn’t cause you curiosity, look for another program. Your university’s location also matters. Vermont and I are improving our relationship. I did not know much about this place. And have never lived outside Puerto Rico before. The only thing I knew about the Green Mountain State was that it had progressive political views. Whenever I told people I was moving to Vermont, they would emphasized how horrible the winters are. I did not give importance to that. Even though I knew that the only winters I had experienced were tropical. In Puerto Rico summer is forever. Meaning that I am used to the Caribbean sun, and the sandunga. Anyways, I have to admit that it affected me a lot. There were days that I cried spontaneously. In other occasions, I would not eat, not go out with friends. I failed in the classes that I was taking, in the projects I was carrying out. I also mistreated myself. So, through accepting my vulnerability, plus that past experience, I have come to feel that I will be better prepared for the next winter season. Therefore, before moving out, research the place. Find about its geography, people, and politics. Also, if for you it’s very important to fly back home a lot, be careful in choosing a place with a small airport. Having said that, it should be a priority to establish a support network. Therapy was one of the best tools I had in that moment to understand, manage, and overcome the sadness that invaded me. Ana Teresa Toro, Puerto Rican writer, says that therapy is one of the best gifts one can give to oneself (My own translation). She is definitely right. Having a safe space to reflect, and develop tools adapted to our emotional circumstances is extraordinary to help us prevent mistreating ourselves. Toro says that the process could be very scary, but that the relief that often comes afterwards is the best reward (My own translation). Most Universities have counseling and psychological services. Get an appointment, and start developing an emotional hygiene. Oh, and I cannot let pass mentioning my friends. Most of them are also going through grad school. And is always great when we get to share our experiences, rant together, and talk about the ways we undertake to keep moving forward. Grad school can be a toxic place. So, put selfcare on the top of your list. Raquela Delgado Valentín says that selfcare is a revolutionary act, a way of resistance (My own translation). Moreover, if we have the privilege of validating our vulnerability, and have access to counseling services, we must share our experiences. To me this is very important because I think it helps to lessen the stigma on people that go to therapy. Another priority: exercise. I remember that in January, when Vermont was covered in snow, I was exercising 5 days a week in the basement of my home. I also decreased alcohol consumption. My purpose of committing to such a “regime” was so I could fit in my pants again. A conference was coming up in February, and of course, I was not going to buy new pants for it. After the conference, I somehow stopped exercising. January was the month were I was most happy and motivated. I was so focused on the superficial benefits of exercise, on improving my appearance, that I ignored all the other great impacts exercise has on our wellbeing. Thirty minutes, three days a week, serve us to start seeing/feeling the benefits. (Important: you need to make that heart of yours sweat.) I have committed on starting my routine once again, and I’ll do my best to keep it going during this next winter. Check out this TED that better explains how exercise improves our wellbeing. Your pockets will suffer. Most PhD tracks, different from professional doctorates such as MD, PsyD, and others, are fully funded. Meaning that the program will cover your tuition costs, and provide a stipend. It’s important that before applying, you fully research if the program will fund you, and how. How much is the stipend they’ll give you? What about health care? Do they offer housing? Many programs require that you work as a research, and/or teaching assistance a number of hours a week. Other options to cover costs are research fellowships, and scholarships. It is important to note that many programs provide only three years of funding. It is common that completing a PhD will take 5 years. So, clarify with the program about how their funding works. Also, evaluate the cost of life of the city where the University is located. Student loan debt is a huge issue in the United States. If you have options to prevent you taking these, or minimize the quantity you take, please carry them through. Nevertheless, if money is not an issue to you, you will have more options, and stress regarding money could be less. A Master’s degree, and/or previous work experience could come great when applying to a PhD. Something that I was truly grateful for during my first year in the PhD, was my master’s degree from the University of Puerto Rico at Mayagüez (UPRM). Many PhD programs don’t require that you have a master’s to apply. Mostly, they focus on past research experiences, and other factors. BUT, having a MS or a MA could provide you with more qualifications. During those years at UPRM, I expanded my knowledge spectrum, acquired a robust training on research, and learned what it was to be a graduate student. In my bachelor, I did not have many research experiences in food systems. So, undergoing my master’s degree gave me the opportunity to better understand that field of study. I also teached at UPRM, and work at Agricultural Extension. That has opened many doors to me at UVM. Doing a master’s could give you a taste if you about graduate school, and help you clarify your goals if you are having doubts. Because a PhD could be very intense. Benefit from any opportunity that takes you outside the University. During my bachelor, I made the mistake of not participating fully in conferences nor internships. It was different during my master’s, definitely. Try to be on the lookout for conferences and activities within your discipline, or areas of interests. You don’t necessarily have to participate directly, or present something. You can go to network, to learn, and to let yourself known. Also, there are many programs that focus on career planning, professional development, and some are intensive learning experiences. 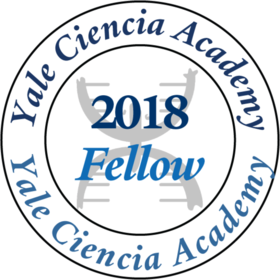 Ciencia Puerto Rico has the Yale Ciencia Academy, which is excellent for first year latinx PhD students. If your interested on global food security, you could check out the Borlaug Summer Institute at Purdue. These are some examples of the many programs out there. It’s important that we strive to get out of our comfort zones. I remember that I did not applied many times to these sorts of programs because I felt unworthy, or had fear and shame. Even though I am still dealing with many insecurities, thanks to therapy, and to my support network, now I am daring myself to be on the spotlight. I am certain there are many more factors that people take into account before (and during) a PhD. The more you know, the more you talk about that decision you want to make, will make the process a bit easier. I can assure you that. If you are (or was) a PhD student, tell me, what I left out? Which other factors you took into account, or ignored? What has helped you during this experience of yours? It’s important that we share our stories because many of them are not exclusive of us. Many more people are going through the things we are. If you are aspiring to get a PhD, and have more questions or comments, post them here. Let’s start a conversation! I am quite versed in food systems programs, but if you are interested in other disciplines, I can put you in contact with the right people. I wish you the best! ¡Fuerza! Súper, Luis Alexis! Tú post me dio ánimo. Haha! No es fácil, pero ciertamente es un privilegio poder tener una educación más alta. Estar lejos de nuestra tierra no es tarea fácil, but we’ll manage. Tus tips me van a ayudar. Gracias por leer, querida. Un abrazo fuerte. Estamos cerquita. Espero que coincidamos en el futuro. Great blog! Thank you for reminding me of #5 haha. I would add “Take time for yourself”. For our own mental sanity we should make a schedule were a few minutes maybe half an hour a day we could be free to ask ourselves “what would make me happy now? and do it!!! Yes!! Definitely, you are totally right. For some months now I have adopted “Nothing Saturday, and Nothing Sunday”. I try my best to not do anything school/work-related those days. It is hard in these times to do nothing. If can, we must embrace that practice. Thanks for reading, and commenting!! Great overview of the challenges and rewards of stepping out of one’s comfort zone, especially into the world of higher ed. I too crashed and burned the first winter after years leaving PR. Took a few years, but was diagnosed with Seasonal Affect Disorder(SAD). I am already dusting off my sun lamp as we spin away from the sun and toward the winter solstice. Didn’t solve all of my relocation issues, but greatly helped with winter depression. La Madre de Emily. HI Cait! Thank you for your comment, and recommendation! Emily has been telling me to get one. And I’m going to! I’ll be ready. Hope to meet you soon!